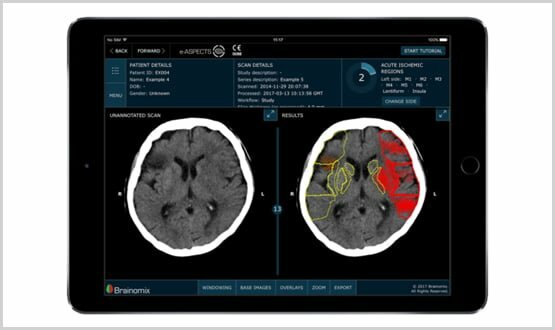 Northwick Park Hospital recently signed a four-year contract with Brainomix, adopting its new medical technology to identify brain damage from CT scans in just two minutes. The technology, which is currently being tested across four other NHS hospitals, employs artificial intelligence to help clinicians identify possible stroke victims from CT scans. Images can also be accessed from anywhere, anytime. It is to improve treatment of stroke, the second biggest killer disease in Europe. Currently 90% of radiologists diagnose stroke patients based on CT scans using the naked eye – this can be reduced to 120 seconds, according to Brainomix, an Oxford-based medical technology behind the new technology, e-Aspects. Northwick Park Hospital trialled it for one year before signing a partnership with Brainomix until 2020. Northwick consultant physician David Cohen said the technology has been extremely useful in making decisions quicker, particularly if you have delays with radiology. “We do like to get scans reported by a radiologist but many of the radiologists working in this hospital are fairly junior and when they see a scan in the middle of the night they are not often quick at making a report”, Cohen said. It acts as a second-opinion tool to assists physicians in choosing an appropriate treatment based on the magnitude and nature of the brain damage. Cohen said apart from its main aid feature he found its efficiency in delivering CT scans to be most useful. “It sends the scans anonymised directly from the scanner to our smartphones… it is extremely useful because that means you can pick up CT scans everywhere you have a mobile signal”, Cohen said. Prior to this, CT scans at Northwick Hospital were obtained by logging onto the trust’s intranet – meaning you always had to have a broadband connection. (left) What 90% of doctors see using CT scans (right) the new technology which identifies the problem areas. “You would often try leave yourself logged in so if you got a call in the middle of the night you could just go to the computer and have a look at the scan, but nine times out of 10 your broadband connection would have dropped out”, he said. 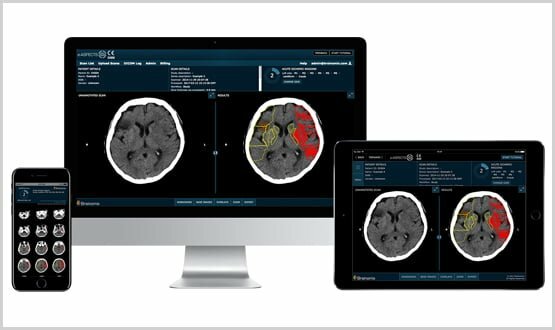 Brainomix co-founder and professor of stroke medicine at the University of Oxford Alastair Buchan said the the e-ASPECTS software will provide vital decision making support for hospitals. Brainomix CEO and co-founder Michalis Papadakis added that working to improve care across the board is of vital importance. “We are excited that hospitals are enthusiastic about implementing e-ASPECTS as a tool to improve the efficiency of stroke treatments in countries that are now developing stroke centres”. Papadakis said. Other UK organisations currently using the new technology include Royal Stoke University Hospital and Aberdeen Royal Infirmary Hospital. 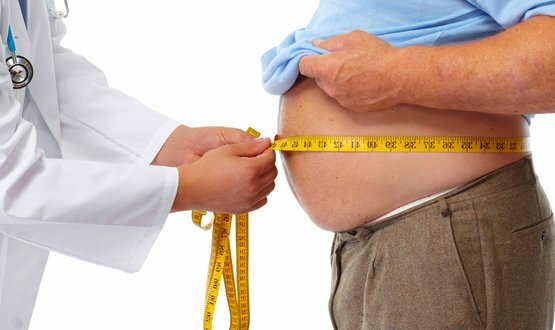 The World Heart Federation’s heart health tool reveals that although high blood pressure rates have decreased in the UK, obesity rates are on the rise.